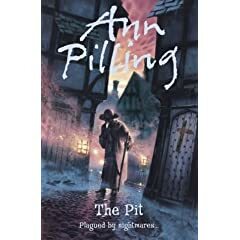 The cover of The Pit by Ann Pilling captured my attention straight away. I knew by the “bird man” that the plot involved the plague and I was right. Briefly, the book is about Oliver, who lives in London. He’s a 12 year old boy who has a fascination with all things spooky – horror films, spooky comics, death. He’s a bit of a loner, so doesn’t have a lot of friends. A girl tries to befriend him but he’s not really interested, but somehow gets talked into having a “shared” rat for a pet (even though he knows his mother will be angry if she finds out about it). At the same time a strange old man moves into his parents boarding house. Then, things start getting strange. A “darkness” keeps coming for him. It takes him back in time to 1665 when London was experiencing the plague. He experiences life through the eyes of a five year old, whose family is struggling to stay alive as thousands of people die around them. For several weeks, Oliver lives two lives – awake in the present day; and, at the oddest moment he passes out and is taken back in time. Can he solve the riddle that brings the events of the past and present together? Is he strong enough to handle the truth? Will life ever be the same again? The first two chapters of the book were mediocre, but after that it came alive. 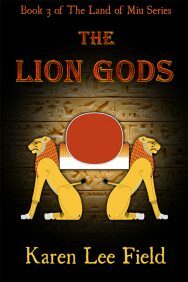 Being interested in the historical references, I knew the author had done her research. Yet it wasn’t until the end that I discovered that the idea for the book came about from a real event written in the diary of Samuel Pepys, who lived in London during the plague and recorded the daily events and happening of the people. This diary is referred to in many books and does exist. The subject matter drew me in, and the plot held me. I liked the way the author put real events into the present day. I enjoyed following Oliver’s journey and his sense of discovery. And I learned that, in children’s books, you can write about death, suicide and mangled bodies and get away with it. This is a book for young readers. Yet all readers will reach the end of the story and know what life was really like in 1665, during the plague. It was a great read. I wasn’t disappointed.